Method for Chromatic Harmonica by Max De Aloe | Sher Music Co. FINALLY! 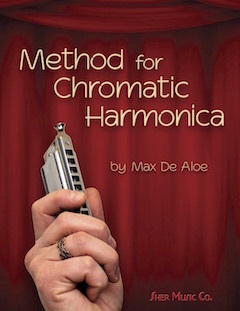 A comprehensive method for the Chromatic Harmonica that treats it like a musical instrument in all respects! For beginning to advanced players, in any style of music. Includes a great play-along CD to practice with. Each track has one version with, and one without, the author playing the tune or exercise. 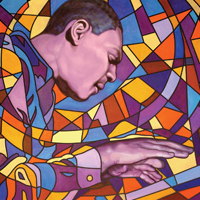 Contains hundreds of exercises to develop technical proficiency in every key, as well as rhythmic awareness and melodic fluency. Exercises written in musical notation, not tablature. Full of tunes to practice, arpeggio studies, scale studies, sight-reading studies, sound production tips, and special harmonica techniques. 147 page book plus an hour-long play-along CD!